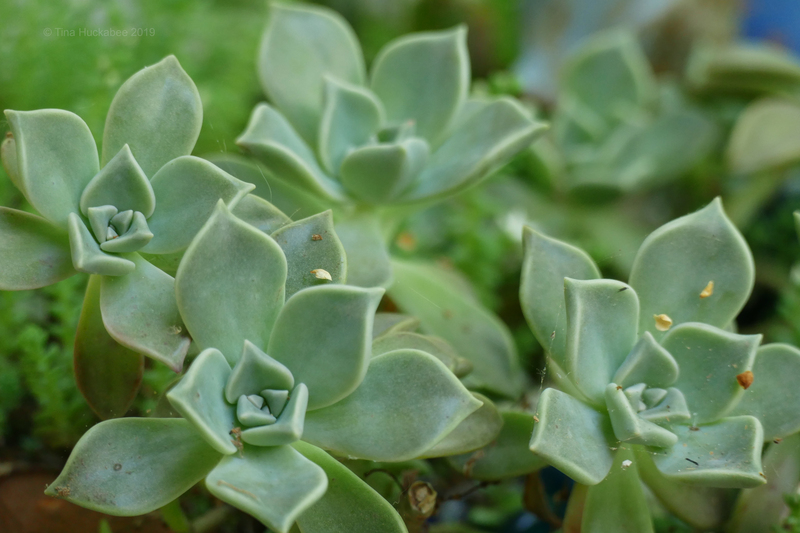 This entry was posted in Ghost Plant, Graptopetalum paraguayense, Uncategorized and tagged Wednesday Vignette by Tina. Bookmark the permalink. Hmmm… the lack of bird migration adds to my sense of a thinning web…. Not good. But your little Ghost plants shine! They are super cute! If I had enough sun, I would grow them all over, too. I liked the photo. It said SPRING! to me, so, yeah. Thanks–this is such a fun meme! I love, love the color of that group of ghosts. I have some of these plants, but I didn’t know what they were called so thank you! You’re welcome! They’re fun to grow–attractive and easy. We have a few of these plants in the garden, but ours aren’t the springy green that you have. We have a more silvery look to ours. This time of year, I would rather have the spring colors, but in a few weeks I’ll be in the thick of the garden season and will appreciate the variety of green a lot more. I have some that are grey, too. It really seems to depend upon where they’re located. I like the grey; it’s nice to have non-green foliage. Spring is all about the green…and blooms! This is such a pretty green. It reminds me of a certain green used in elegant glassware of the early 1900s. It often was combined with pink — green bowls with pink stems, for example — and called watermelon glass. These plant pastels are so interesting. They never look washed out or faded. Even though the color is light, it’s got a purity that I really like. Isn’t it a pretty green and you’re so right!! I know that glass that you’re referring to and the green of the ghost plant reminded me of it. It’s such a nice green: rich, but soft and yes, it has a purity about it.